Opening Times: Club times (non exclusive) (summer) Tue 1900-2100 (11+ yrs), Thu 1830-2030 (8+ yrs), (winter) Wed 1900-2100. No public times. This redgra track is managed by the members of Daventry AAC who are part of the Daventry & District Sports Club and is very well maintained. 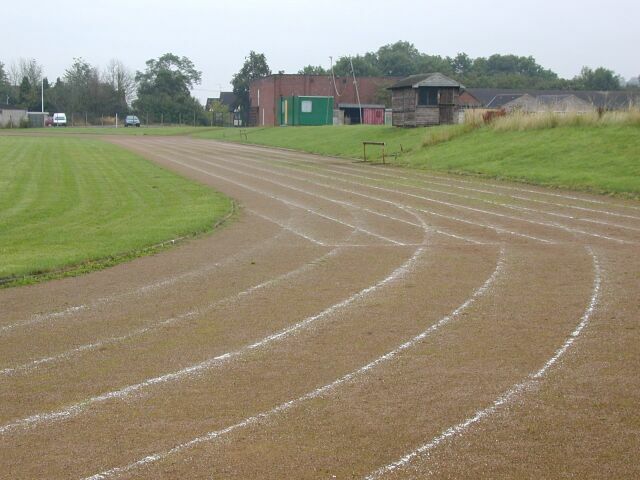 It is still regularly used for training and a young athletes open meeting is held every year. However senior league meetings are not possible as the SC water jump barrier has been removed and the pit filled in. The shot and discus circles were laid in the late 1990s. The infield is a rugby pitch used by Daventry RFC.